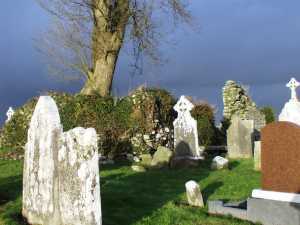 There was a church in Kilmallock since around 1251, which is situated in Kilmallock graveyard and replaced St. Mocheallog's church as the parish church. The church was dedicated to SS. Peter and Paul in 1410 and the church was within the walls of the town. Maurice Fitzgerald was behind the enlargement of this church in 1420. The door in the south wall dates from the 13th century and apart from the transept of the church, the building shows the characteristics of a 15th century due to the use of limestone in the building. A round tower was incorporated with the church when it was built. 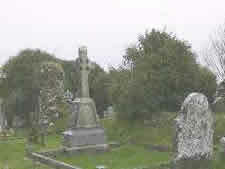 However, according to Barrow's "The Round Towers of Ireland", the tower may have been part of the monastery, reputed to have been founded by the 7th century St Mo'cheallóg from whom the name is derived. Little is known of the early history of the monastery, and the tower is the only remaining relic of it. This church became a Collegiate Church at the end of the 15th century or the start of the 16th century. The building was partly destroyed by Cromwell and has been roofless since 1657 according to Lewis. At present FÁS are renovating part of the church so because of the scaffolding we were unable to photograph and enter all of the church. Some of the headstones in the church date from the early 1600s. A new Catholic Church was built in Kilmallock in 1814 to replace a penal age chapel that had been built on the lands of John O'Donnell. This church was built on a site between John's Castle and the river Lúbach. An extension to the church was added on before 1837. The former church of SS Peter and Paul was found to be unsuitable for the needs of the parish. It was built in 1794 and was built outside the walls of the town. The church ruin in Tankardstown was dedicated to St. David of Wales on March 1st 1410. Westropp measured the ruin as 43 feet by 24 feet and stated that only fragments of the south, north and west walls remained. Today little remains of the St. David's church. In "The Story of Kilmallock", Mainchín Seoighe says that according to local tradition the church was thatched and burned by a man named Collins. It is also believed that the church was used as a place of Protestant worship until the middle of the 18th century. The church ruin in Ardkilmartin was dedicated to St. Martin on November 11th 1410. 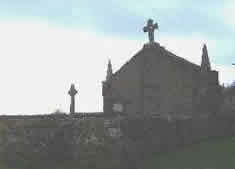 Prior to this church, there was a mass house in Ballingaddy. All that remains of this house is a brass candlestick that is around 300 years old. It is in the possession of the O'Grady family. 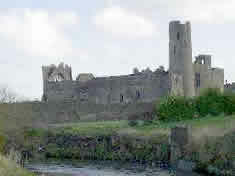 Mocheallóg built his church in 6th or 7th century (Spellissy/O'Brien dates it as 749) on the hill overlooking the town of Kilmallock. This church ruin now lies on the land of Noel Collins, who recently erected a cross on the ruin to show the site. All that remains of the church is a small rise in the field that is covered with grass. Begley measured what remained of the ruin in 1906 as 22 ½ feet long and 12 feet 3 inches wide and the walls were about 3 feet thick. There was also reputedly a graveyard attached to the ruin. The feastday of St. Mocheallóg is March 26th. Westropp also mentions a church in Kilmihil to St. Michael and a chapel 'between the bridge and St. John's gate' called St. John's gate but the sites are now forgotten. According to "The Story of Kilmallock" there was a church in Ardovelane, which is now known as Mountcoote, but the location of the church is unknown today.